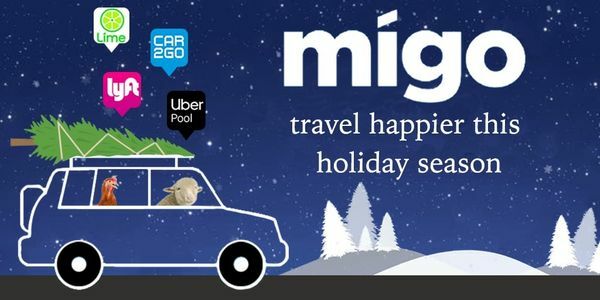 Ride Share, Carshare, Taxis, Bikes, We’ve Got You Covered in Oklahoma City with Migo! There are 8 ways to get around Oklahoma City, Oklahoma, and 8 of the best ways are available through an app! Choose between 2 carshare, 1 taxi, 3 rideshare, or 2 black car/limo companies. The best 2 ways to get from A to B in Oklahoma City are on Migo. Whether you need the closest, cheapest, or fastest ride, Migo has all of them in one app. Scroll down to see all the different transportation apps available on iTunes or GooglePlay. Choose from one of the providers below to help you get around Oklahoma City today. Use the water taxi to get to the main points of interest and delicious restaurants in the Bricktown District! Head to Picasso Cafe for delicious food and drinks from brunch to a late-night snack! If you're in need of a snack after bar hopping in the area, head to Waffle Champion! Whether you're in the mood for pizza, burgers, or some authentic Tex-Mex, you'll find it all here! If you're in the area at night, be sure to stop by to take in the peaceful, well-lit memorial. Explore the depth and detail of 20th century American Indian art in a newer exhibit! Treat yourself to come craft brews and artesanal eats during your layover at Cross Grain Brewhouse. Don't miss one of the largest Chihuli exhibitions in the world! Read about what's new at Migo in Oklahoma City.